While working on my room, I decided to get rid of a lot of my old stuff. It was time for me to let go or pack it away. This included my books. I love books, and I always find it hard to get rid of books that I loved. However, it was time to let go of the books that I would not read again. 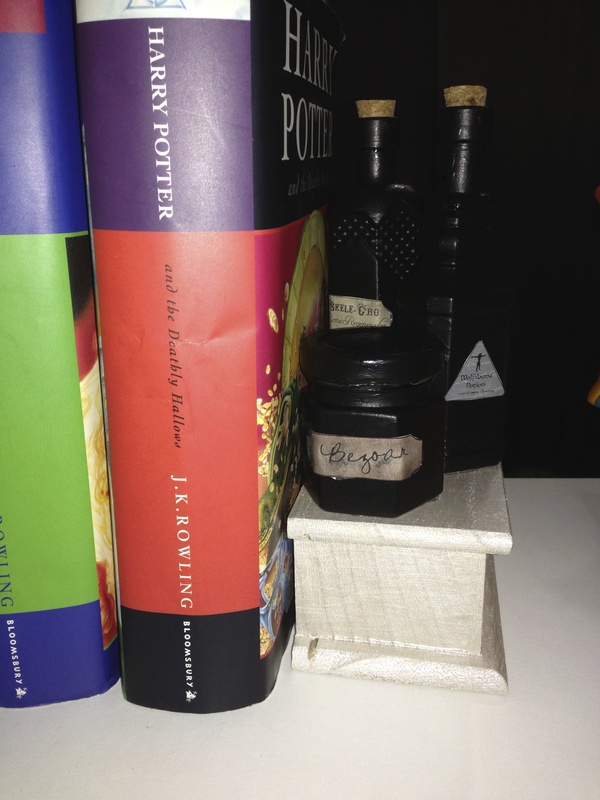 While I was going through my bookshelf, I noticed that my entire top shelf was dedicated to Harry Potter. 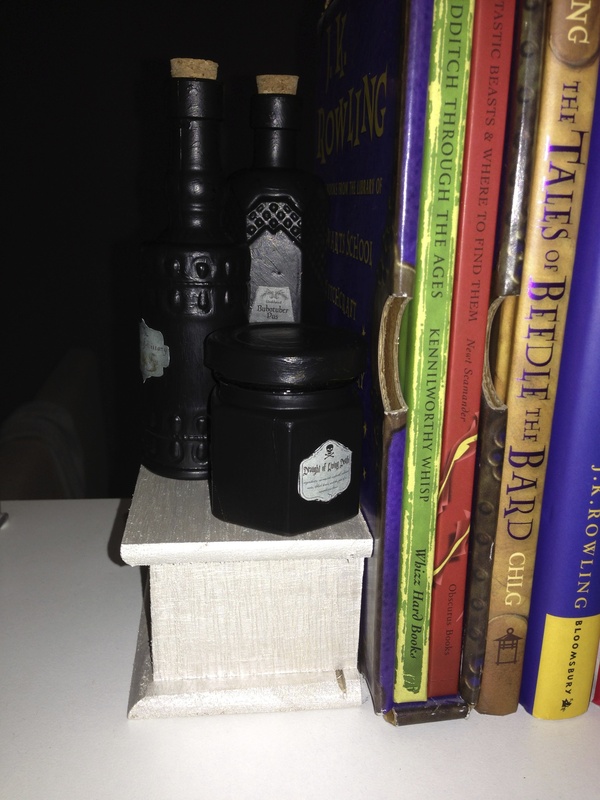 I wanted to make some bookend for my Harry Potter books so that I could use my plain metal ones elsewhere on my bookshelf. Maggie and I got to brainstorming and I could not find SIY HP bookshelves that I liked. 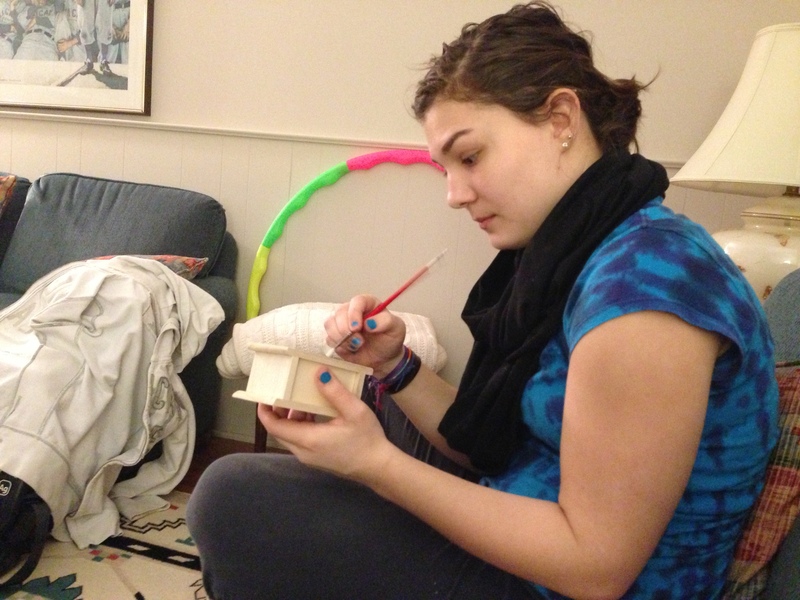 Maggie and I were at Joann’s to look for curtain fabric when we decided to look through the knick-knack isles. There, we found some cool bottles for $1 that could work as potion bottles. 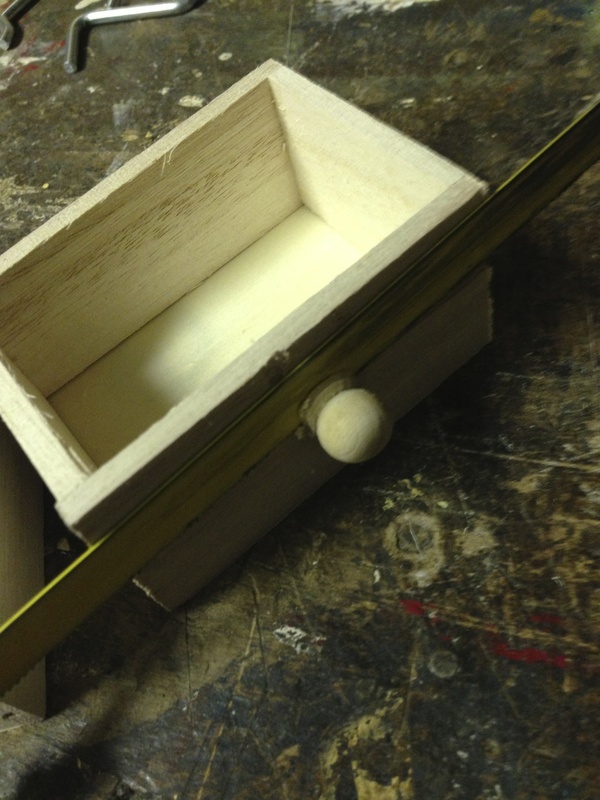 We needed a platform for the bottles, so we found some little wooden drawers that we could modify to work. 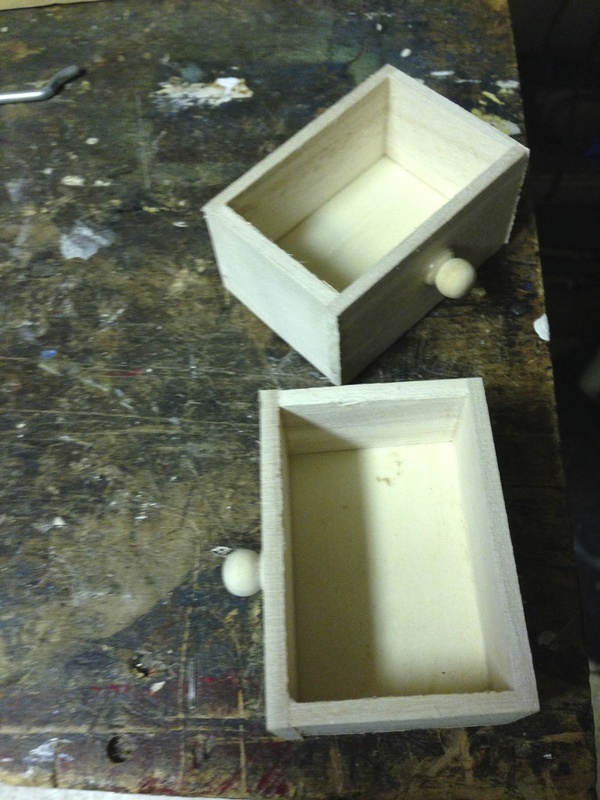 We had other options for platforms, but we went with the drawers because the others were too big and the bottles did not fill the surface area. 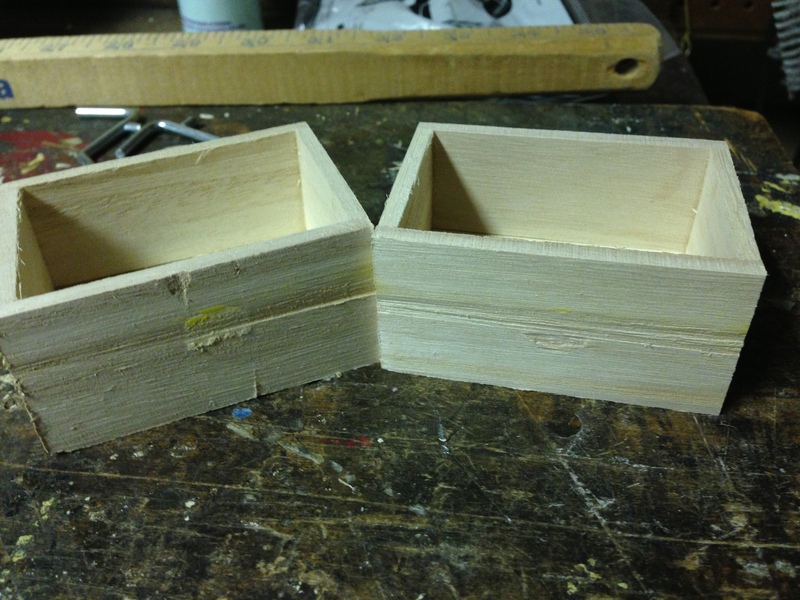 When I got home, I immediately cut the knobs off of the wooden drawers. We debated for some time what to do with the drawers. I definitely wanted to paint them, but did not know what color. I stumbled upon a “pearl” color of acrylic paint when I was looking through my sisters paint stock. We decided that that would also be nice and subtle and it would let the potion bottle shine. 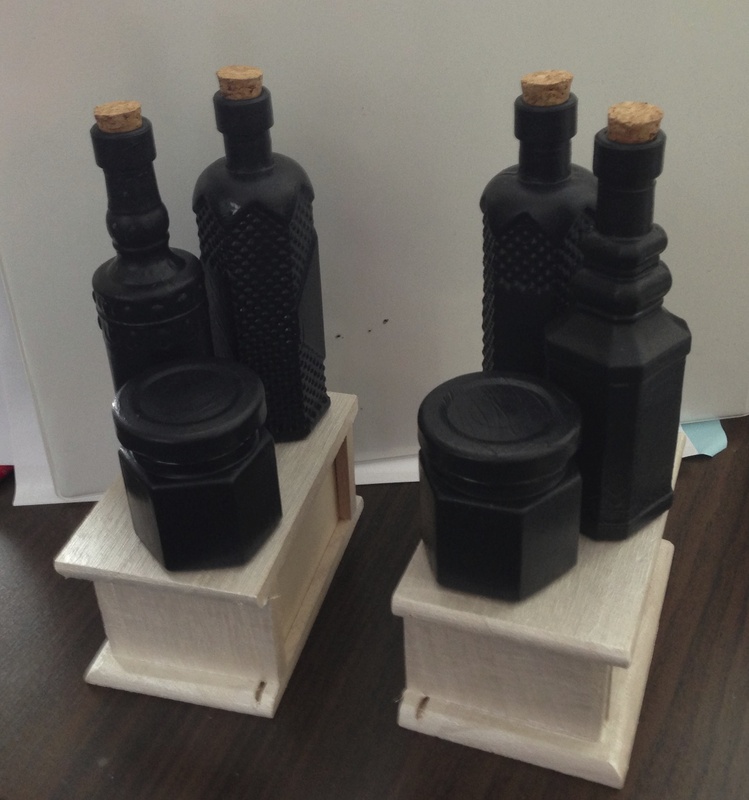 I had the plan to fill the bottles with different things to make them look like potions. Then, Laura showed me this. I feel in love with the subtlety. 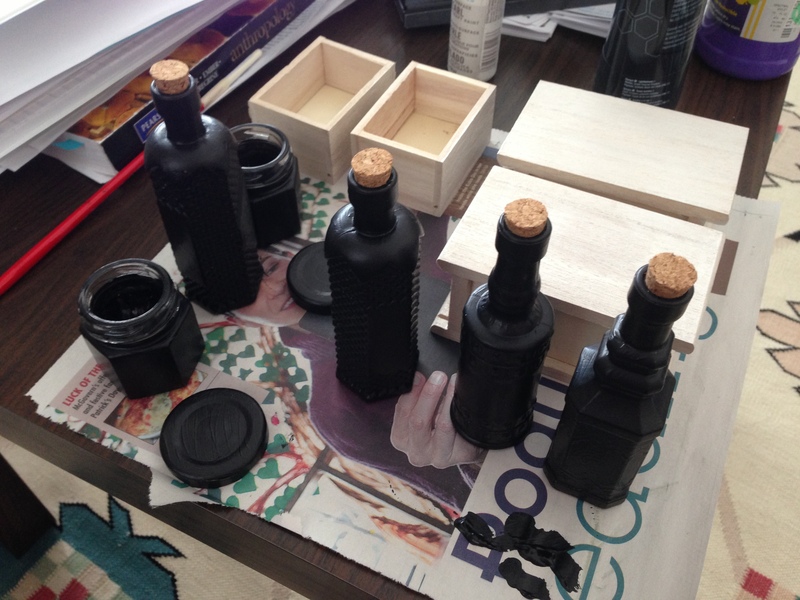 I pulled out some black Basic acrylic paint and gave the bottles a quick coat. I was not interested in perfection because some imperfections would make them look weathered and old. Before I put labels on the bottles, I lined them up to see how things would work. I printed out these Harry Potter potion labels at 50% size. Maggie cut them out for me. 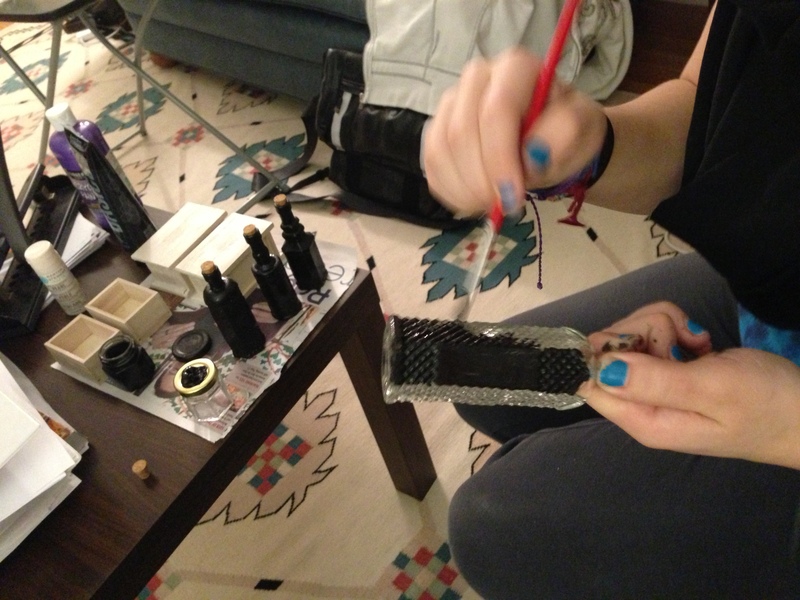 Then I just hot glued them onto the bottles and hot glued the bottles in place on the drawers. They turned out great! 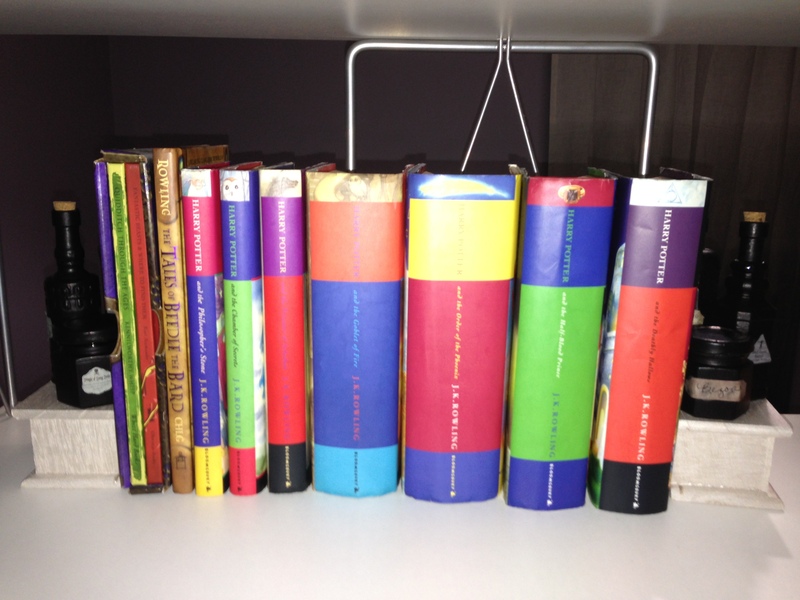 And they fit the Harry Potter books without being overly obvious. 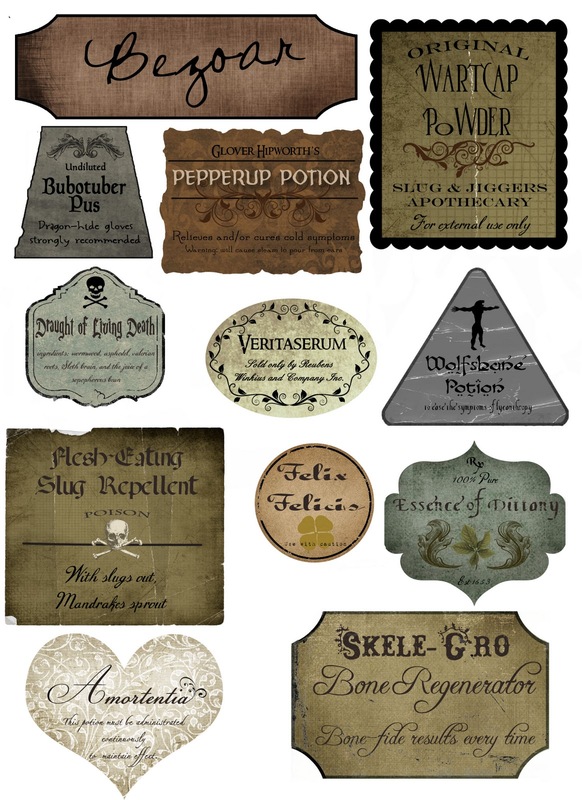 I love that the potion labels are real potions from the books! We also put some rocks (that we stole from some landscaping advertisements on people’s driveways around the neighborhood) in the drawers and the short bottles to add some weight. I plan on putting some sand in the taller bottles to add a little more weight soon. The books are all hardcover though, so the minimal weight is doing fine for now! Kiki you are so clever!! I think these are marvelous! well done dear!! !